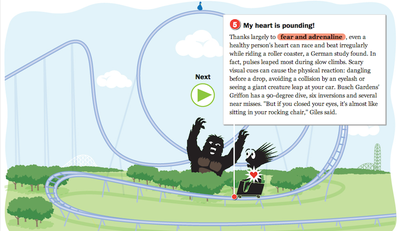 Ever wonder why roller coasters can make even the strongest of stomachs feel like they're turning inside out? Or why, as you seemingly dangle dangerously upside down, you never quite feel like you're actually upside down? And did you know that some of the force you feel along the way has the potential to "cause brains to bleed and eyeballs to explode?"